Philadelphia, PA, March 3, 2017 — In recognition of the New York Life Foundation’s $100,000 Grief Reach grant, The Center for Grieving Children visited New York Life’s local office in Bala Cynwyd for a check presentation. 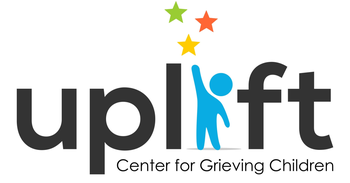 The event highlighted the continued partnership between the local New York Life office and The Center for Grieving Children to support Philadelphia’s grieving youth. Pictured: New York Life’s South Jersey General Office Managing Partner Robert G. Karalius, ChFC (first row, far right), Volunteers for Good Coordinator Faith Romolini (first row, second from right), and Volunteers for Good team members of the New York Life’s local office present a $100,000 Grief Reach grant check to Darcy Walker Krause, Executive Director (first row, second from left), and her team from The Center for Grieving Children to fund expanded grief support services to children and families in Philadelphia.